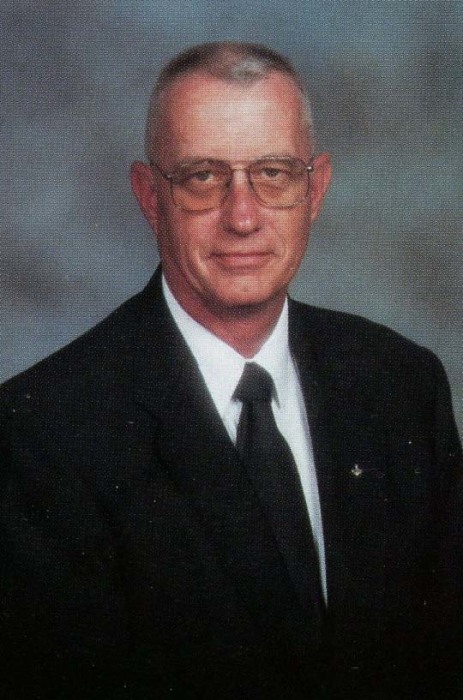 Joseph Bryan Jones, 59, of Reidsville, went to be with the Lord Wednesday January 16, 2019 at the Hospice Home of Rockingham County. Funeral services will be conducted 3:00 P.M. Saturday January 19, 2019 at New Lebanon Christian Church. Burial will be in the church cemetery. A native of Rockingham County, he was the son of the late Edward Tate and Daphne Phibbs Jones and had lived in Rockingham County his entire life. A member of the last graduating class of Bethany High School in 1977, he graduated from Nashville Auto Diesel College in Nashville, TN. He was a former employee of Covington Diesel/Clarke Power Services in Greensboro and a member of Mt. Bethel Evangelical Covenant Church. He attended New Lebanon Christian Church and was a member of Jefferson Penn Masonic Lodge #384. He was very passionate about his music and started his career as organist and pianist at Mt. Bethel. He later served as organist and choir director at Sharon Baptist Church and he is currently the pianist, assistant organist and assistant choir director at New Lebanon Christian Church. Bryan enjoyed camping, and fishing at the beach and was preceded in death by his sister Nancy Jones Enroughty. Survivors include his wife of 38 years: Sharon Sharp Jones of the home, his sister: Frances O’Brien (John) of Summerfield, brother-in-law: David Sharp (Debbie) of Reidsville, six loving nieces and nephews: Paula, Mark, Derek, Adam, Lucas, and John, eight great nieces and nephews, three great great nieces and nephews and his loving fur babies: Honey Bee, Squeaky, Smutty, and TT. Memorials may be sent to: The Rockingham County Animal Shelter 250 Cherokee Camp Rd. Reidsville, NC 27320 or to Hospice of Rockingham County P.O. Box 281 Wentworth, NC 27375. The family will see friends at Citty Funeral Home 7:00 till 9:00 P.M. Friday January 18, 2019 and at other times will be at the residence.